Reusable and resealable BPA free vacuum zipper bags for vacuum sealing regularly used fridge and pantry items. 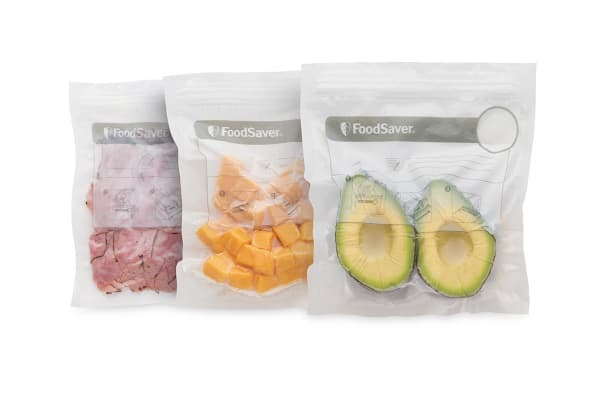 FoodSaver reusable 950ml zipper bags are designed to use with FoodSaver Fresh or FoodSaver machines to take the air out to vacuum seal the fresh in. Large 20 × 22cm bags are ideal for fridge, pantry and on-the-go foods. FoodSaver vacuum zipper bags can be opened and resealed multiple times. 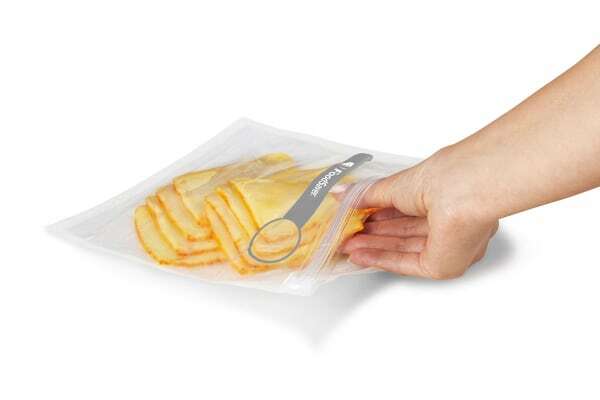 Use with FoodSaver Fresh machine and all FoodSaver machines with accessory adaptors to create a vacuum seal. Extra strong double track zipper helps to block oxygen and moisture, and maintain the vacuum seal to lock in food freshness and flavour. 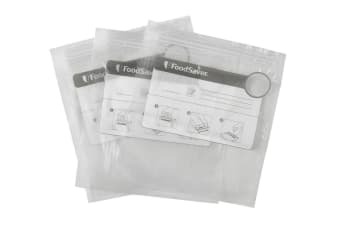 FoodSaver bags have a unique, strong, multi-layer construction to help extract the air and then create an air-tight barrier around foods. Specially designed channels allow for the complete removal of air.